Peaches is an adept multitasker. The amusing pose she managed to contort herself into above is a result of grooming her front paws while simultaneously scratching at an itchy spot on her side. 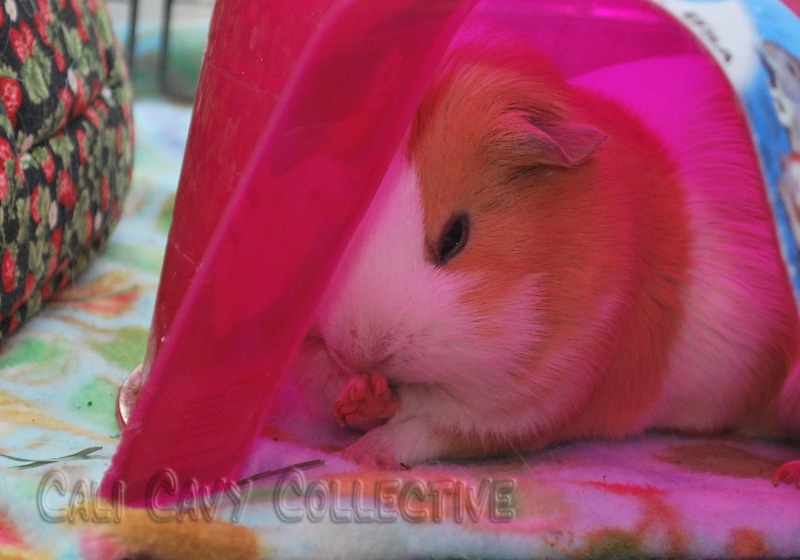 It doesn't end there - Peaches has also been known to scratch while chewing, eat while pooping, lounge while dining, groom while producing piggy beans, complain with her mouth full, and chew in her sleep. What multitasking activities do your cavies regularly engage in? Pinniped will drag the tube of hay into a cozy so she can nap and eat at the same time. 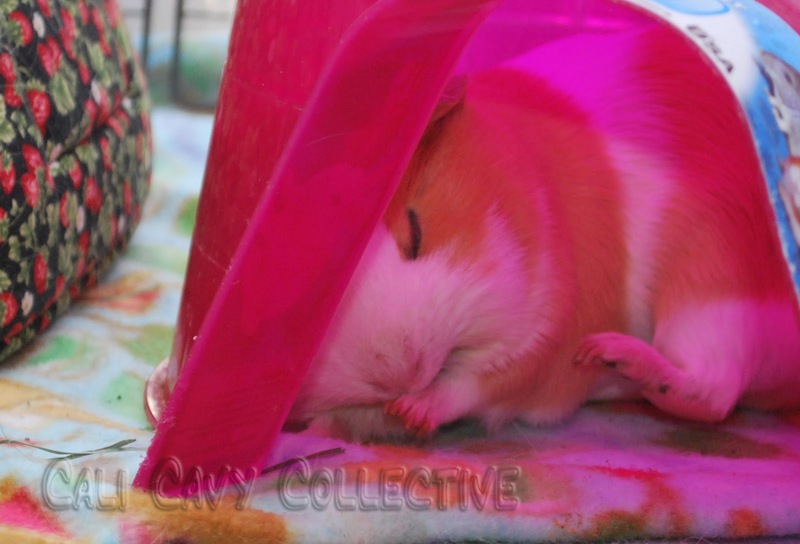 Only a guinea pig could manage that combination! Peaches looks super adorable, even by her high standards. Mr Woody can hardly single task let alone multi-task, but he is such a lovely boar. Sounds typical, what a very Pinniped-like thing to do! Mopsy, whee agree, Woody is such a sweet and good natured boar. One must be in order to make room for Boomer's large personality.